For years cultured Angelenos assumed that certain limits in their hometown were pretty much insurmountable: Hollywood people would never support museums and concert halls. The city could not sustain a major film festival. And whatever the strengths of the visual art scene, L.A. was not the right place for a serious international art fair. The first two conclusions have been mostly dismissed, albeit with a few casualties along the way (RIP, Los Angeles Film Festival). As for the international art fair bit, if the organizers of Frieze Los Angeles have their way, February will see L.A.’s art schools, a huge number of working artists, first-rate museums, and a growing number of commercial galleries complemented by a substantial annual event with global reach. 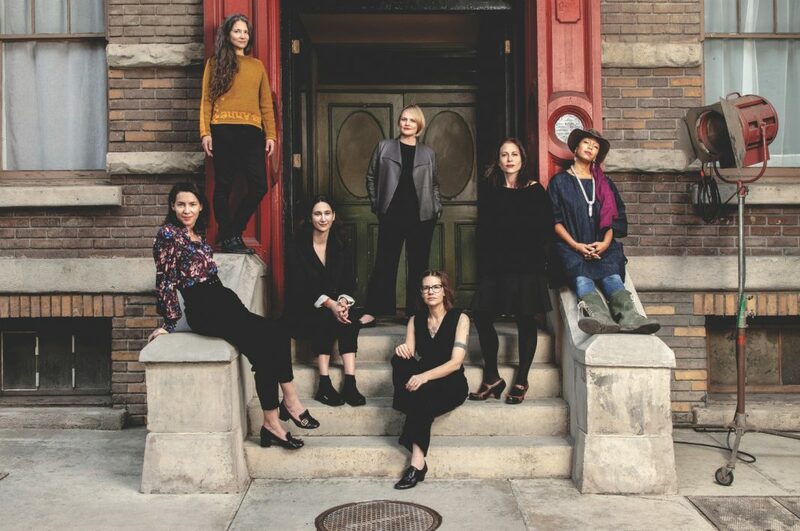 “I think many people have been waiting for an international art fair to establish roots in Los Angeles, and I was glad that it was Frieze that made this commitment,” says Bettina Korek, the founder of ForYourArt and Frieze L.A.’s executive director. “Their sensibility is right on for Los Angeles. I see my role as kind of bridging the history and ethos of Frieze with our unique city.” That means about 70 galleries, including local presences like David Kordansky, Regen Projects, and Blum & Poe, coming together for three days (February 15 to 17) on the best of the old studio lots: Paramount. Frieze has been designed for wandering. Visitors first pass through a massive tent to see (and buy) works from various artists, then spill out onto the New York back lot, a space filled with site-specific commissions from the likes of Barbara Kruger (provocative questions presented on stickers), Paul McCarthy (a massive ketchup bottle sculpture), and Hannah Greely (paintings strung on clotheslines). On top of that, there will be food from superchefs such as Sqirl’s Jessica Koslow, a bookstore, on-stage conversations on topics like patronage, and all sorts of other programming. The L.A. incarnation is new compared to Frieze’s already established fairs in London and New York—the whole thing was founded by British art magazine Frieze—but this one has genuine Southland connections. Korek is a onetime Valley girl; longtime L.A. curator Ali Subotnick, who helped put together the original Made in L.A. biennial at the Hammer Museum, handpicked an array of artist films to screen in the Paramount Theater. There are smart folks who still think an art fair won’t work here (and can point to numerous much-hyped ventures that crashed and burned). “I’ll say it if no one else will,” former L.A. gallery hand Tim Schneider wrote last year on ArtNet News. “L.A. is an art-fair graveyard for a reason.” Given our vast distances from the other art capitals, knotty can’t-get-there-from-here geography, a limited collector base, and a serious art market that goes back only a few decades, Schneider is just one in a contingent who thinks a behemoth like Frieze cannot take hold in a town like L.A.
Frieze Los Angeles, Fri.-Sun., Feb. 15-17; Paramount Pictures Studios, Hollywood.